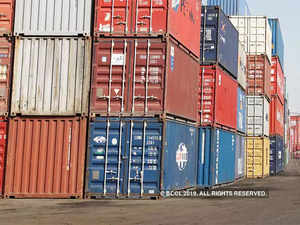 Industry on Friday raised concerns on the flow of credit to export sector, exports to countries under US sanctions like Iran, caution listing by the Reserve Bank of India, delay in uploading of eBRC by banks and the US' likely withdrawal of benefits to Indian exports, at the Board of Trade meeting chaired by commerce and industry minister Suresh Prabhu. Delayed input tax credit refund, denial of GST on availing higher duty drawback, higher price of steel in domestic market, retrospective effect of pre import conditions and availability of incentives for exports to neighbouring countries were the other issues impacting exports, they highlighted. “The issues raised by the trade were addressed by the senior officials and will be taken up in the forthcoming meeting of Committee of Exports and GST council,” commerce and industry ministry said in a statement. Federation of Indian Export Organisations (FIEO) President Ganesh Kumar Gupta said global trade has entered a tough phase in the second half of 2018 and is expected to slow further in 2019. He suggested the government to introduce a scheme for promoting branded exports, enhancing budget for organising trade fairs and improving infrastructureNSE 0.34 %. EEPC, the apex body of engineering exporters has suggested the government to put in place a mechanism wherein at MSMEs can get steel at international prices. Industry body CII also emphasised that it is critical to address issues related to trade financing, incentives and logistics, to help exporters become globally competitive.